▶ SoldThis listing was sold on Sep 28, 2017 for the price shown here. What a convenient place to call "Home"! Great location for a Hwy 70 or Page commute. Make a note this townhouse has a basement - not all of the townhomes in Montclair do! Beautiful upgrades and updates make this move simple - just move your "stuff" right in! Amazing wood veneer floors in the great room, entry & upstairs, newer carpet up the stairs PLUS the latest in ceramic tile floors in the kitchen, & powder room. Awesome kitchen has 42-in maple cabinets, glass tile backsplash, smoothtop range & B/I microwave. The upstairs has 2 bedrooms with walk-in closets, a loft-style office/sitting area & a full bath with updated "wave" sink. This townhouse is one with a rear entry garage making for a private patio located off of the kitchen. The basement area is unfinished - could be expanded living space, ample storage or a perfect home gym! 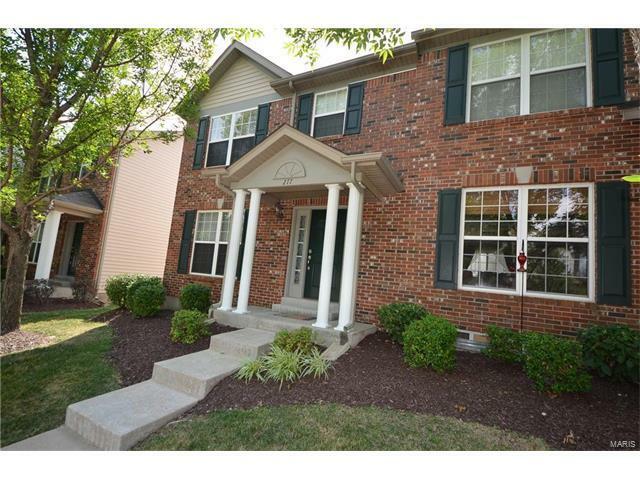 This super nice townhouse is one you don't want to miss! Monthly fee includes snow removal & lawn care. Elementary school: Harvest Ridge Elem. Friedens Road to Moneau to Left on Le Beau, home on Right.